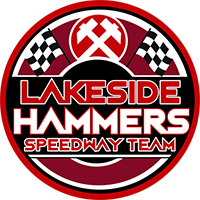 Our website address is: http://www.lakeside-speedway.com. The Data that may be collected by this Application are: Cookie, IP and Emails. In addition to the owner, we do not share data with any external third parties. The Data concerning the User or the Data Subject are collected for the following purposes: Analytics, Comment services, Social Networks, Email management, Social Applications, Interaction with external social networks and platforms, Interaction with support and feedback platforms, Registration and authentication and Traffic optimization and distribution.